I get asked to help clients with their websites all the time. Websites, because for some SMEs, that’s the sum total of the marketing they do. Or it’s the bit of their business the market notice. Often it’s heralded to be the answer to their business issues. So the conversation tends to start here. They want to scale up, to start exporting. After all, a slick website is the perfect lead-generator for a business needing to engage international prospects. There may be an investment in ongoing Google ads …. but bounce rates are too high … from their poorly constructed website, with its text-heavy, much ignored messages. 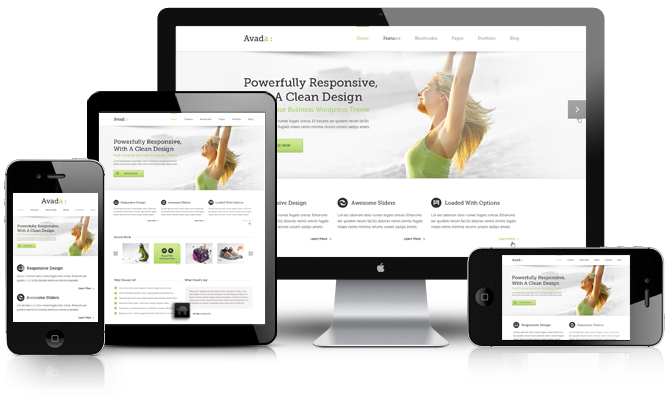 A state-of-the-art-service is being marketed, but unfortunately the owner has chosen to develop the website for free. And now the site is not delivering as the business has grown. They used have a strong foothold in the marketplace, but now the market has become more competitive. Again, the website brings market attention to the fact that they’ve lost touch. Some business owners articulate the need for a customer or marketing plan, others a refinement of their sales pitch. Commonly, clients speak of the need for a ‘rebrand’. Branding is a much bandied-about term, I speak about it more here. Some mean visual brand; to be perceived online and on publications as a dynamic, professional and ‘serious contender’ in the market. Other times it’s meant as a more fundamental rebrand, a rethink or re-launch perhaps of their business. Some cite the very common sentiment of ‘feeling lost’ in the noise of their of day-to-day business. The recession is slowly lifting …. trust and positivity are re-emerging. Businesses want to be poised and ready for the impending upswing. But with it often comes decision-paralysis. This is understandable, now everyone has to be a marketer. With the perceived low costs of digital media, the potential for a dazzling world stage, the well-intentioned advice from family, friends, not to mention online (aware of the irony!). So it’s no wonder businesses are confused. Many just don’t have the time, the resources or the space to think about where to start. ‘Businesses spend a lot of time trying to be seen and heard, rising above the noise …. by creating more noise. Good marketing is often invisible’. I see how easy it is for attention to focus on better communications when addressing business issues. 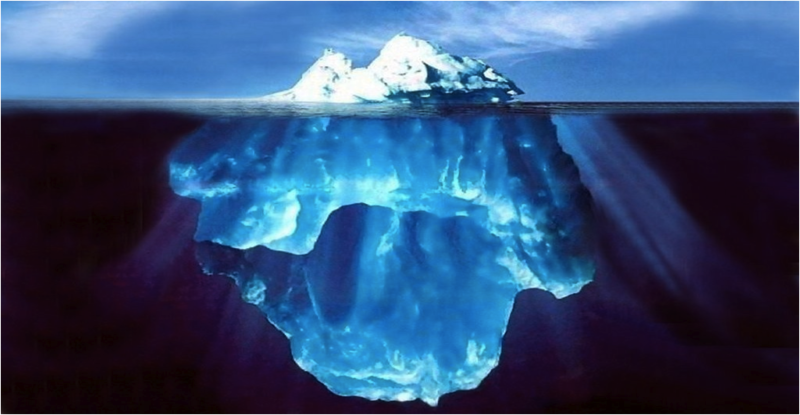 But often what they see in competitive businesses is only the tip of the iceberg, the bit above the surface that everyone sees. ‘How can we fix this business issue, surely better communications is the answer’. Not always. This view can be blinkered and could lead the business down the track of keeping everything else as is, same target market, same product offerings but fresh new communications. Invariably with most clients, I backtrack into Strategy. It remains one of the most overused words in business. For me the less jargon the better. 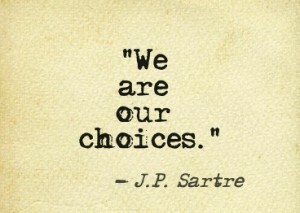 The choices determine the path. Some roads lead somewhere interesting, lucrative, sustainable. Others are short and sweet, leading nowhere. The choices a business makes about who it will serve and, crucially, who they will not serve. What it will offer? How their way of doing business is unique to them? How it is sustainable? How is it organised to feed off the passions, resources and skillsets of those within the business? Some business owners who are struggling are driving autopilot, to a place they’ve been many times before. It’s so hard to drive the car and take in the landscape, to see the big picture about what is going on. The concentration can sometimes be too linear, riddled with assumptions. In start-ups, it’s nearly the flipside, the head is awhirl with tons of new stimulus. The non-driver or mentor can be really useful in helping navigate the woods and trees. The thing is, businesses who excel in communications spend much longer at the bit everyone doesn’t see, the market intelligence or curiosity, the tracking and iterating, the planning and improving, the bit below the surface. It doesn’t mean the launch has to be held up. I welcome the move in recent years from overly researching and stalling before launching, to refining and iterating quickly when launched. This lean approach to planning and minimal viable products is refreshing and dynamic and has worked well in the tech start-up scene. But it doesn’t mean you should launch without a clear plan. It just means the attention on this area should be maintained once launched. The curiosity and determination to realise the true potential of the business should be pursued to the nth. That part, whilst not always expensive, takes time, patience, determined focus …. and it has to be said some amount of discomfort. This ability to live with uncertainty and business vulnerability is a major game-changer for me. Maybe the business has to change more than the owner thought or maybe there are un-admitted weaknesses in the business skills. Basically more challenging conversations are needed to get to the solutions than first anticipated. 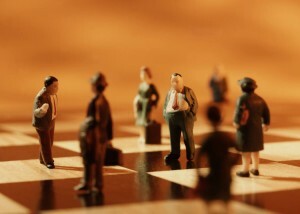 The ability for a business to start in the right place, to address the challenges fundamentally can be the difference. The business offering that’s based on genuine, up-to-date market insights, sustains the business. It then powers the communications, the revenues, the motivations of personnel. Those businesses naturally create great marketing, create communications and naturally attract business to them. The need to push the message out, verses draw attention in changes there and then. So in summary, I guess I’m saying that a web developer, whilst at times critical, won’t solve business woes. Nor can focusing on the ‘shiny distraction’ of social media replace the hard strategic choices. Sometimes they only shine a light on business indecision or lack of planning. Don’t get me wrong, the ad, the website, the video, the social messaging … they are all really effective tools at the right point in time. To a clearly sculpted strategic purpose. Trouble is, most businesses want to jump to communications too soon. The foundations of good communications are clear choices. Those clear choices are based on what a business has observed about a market, what they are passionate about, what they have said ‘yes’ and ‘no’ to. 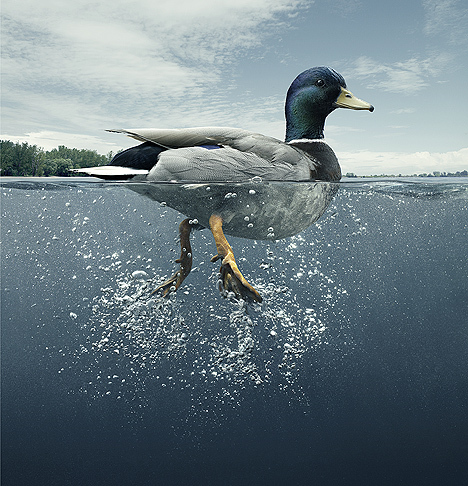 Just as the duck furiously paddles underwater and appears calm and effortless in our view, so in business the hard work is done out of public scrutiny. For messages to be simple and powerful, for communications to cut through in an overstimulated market, more thought and some market interrogation needs to happen first. Start by moving away from the noise, by removing yourself from the day-to-day. Then maybe ask for honest, impartial appraisal. Seek expert advice where there’s a gap. I offer Clarity Workshops to clients who are confused about where to start in terms of communications or strategic planning. Contact me here for more information. I recently had an extremely conscientious client who was pitching a quality product to new international markets. Her product was superior to her direct competition and, though the first to market, her foothold was well and truly lost. Her website was bursting with information, features and facts. But her targets had neither the time, the inclination nor the interest to wade through it. As they weren’t prepared to spend the time to understand product categories they were unfamiliar with, they were settling for her competitors and inferior product solutions. Most businesses I work with really struggle to say less. Their web pages, brochures and leaflets are bursting with words. They don’t believe me when I say that they expect way too much from their prospects. In terms of understanding what they do and what they sell. Until I research it and ask their prospects to tell them. Or they research it beyond their circles of well intentioned friends. Until they hear it from the horses mouth. Surfers take seconds to decide whether you will be their next forgettable business. SMEs struggle to strip back their key messages to connect. Connection is based on stripping back business messages to the bare essence; what they do, why do they do it and who are they for. It’s harder to say less. It’s harder to stand for less. It takes much more time to distil down concepts, messages, products and services. It’s much easier to say more. And to say you do more. To throw everything out there and to see what sticks. It’s harder to be more interesting about a more defined idea. It’s harder to do the stripped-down thinking and talking. So keen are SMEs to appeal to more people, they unwittingly blur their message. Making themselves forgettable or invisible. Making their prospects take on too much of the brain work. Saying they do more. And more and more. The bottom line is that your prospects are time poor, suffer from information-overload and are looking for shortcuts all the time. 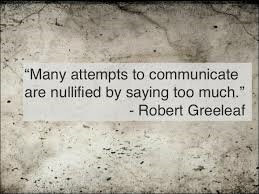 The way communications works is that if you can clearly show that you are the fit …. for someone like them ….. with a problem exactly like theirs …then you are in the consideration set. Do the hard work and give them the shortcut they crave. Your prospects need to hear about their exact problems … or particular needs UP FRONT from you, not buried in the sea of information you send out. Put simply, if it’s a website it needs to be on the home page. They need to connect with a business who really sees them. Who understands them. Who talks straight to them. So there’s saying less. And then there’s saying less to less people. Or having a clearer, bullseye target. Businesses sometimes view advice on ‘target refinement’ as diminishing their market potential. ‘But that will reduce my addressable market, that would do me out of business!’. That depends on how much business you were realistically going to get from that market and how much you might get if you hone and specialise. The below is meant to be a helpful checklist. It’s by no means exhaustive for every website, and for other business start-up sites, it’s more than enough. Judge what’s right for your website. The most important thing is to be clear about the questions I ask below before you ever approach or decide on a developer. Get what you want down on paper. This will help the web developer or designer to understand and quote for the job properly. It will also ensure both of you are on the same page, avoiding misunderstandings at a later, crucial stage. I find a checklist works well for SMEs who don’t always know the questions they need to be asking either themselves or the developer. Is it a new or replacement site? Do you require staging site during build? What’s the motivation for website change? If a rebuild of the current site is required – what do you like /dislike about the current site? Be clear about the desired outcomes of the project? What do you want the website to do? To generate leads via contact forms? Make the phone ring? Give extra or back-up information? Get signups to a newsletter? Goals should be SMART if possible: specific, measurable, achievable, and realistic and have a timeframe. Who is the audience? Do you have an ideal customer profile? Be as clear as possible here. The ‘everyone is my target‘ approach only serves to reduce your chance to convert your best prospects, not increase them. You need to design messages, content, products and services that serve this core target best. Appeal to your core target and the revenue will follow. Does your business have a male/female bias? Is there a geographic focus; city or country target? Is there an age range? Are there shared interests or dislikes within this target segment? Get this description down on paper, this will be your target customer and very useful to third parties you may work with. Everyone from logo designers, web developers to external consultants. How will they use the website? How will they hear about your website? (articles/ reviews/ contact details/pricing?) Do you have a marketing plan? The saying ‘Build it and they will come’ does not apply to new websites. A ’home’ page, with important key messages. ‘About us’ page; one of the most important, visited and overlooked pages on a website! It’s the history of the ‘When’, the ‘Why’ and the all-important ‘Who’ of the business set-up. It’s important to give some sense to the visitor of who you are and what you are about. Read more about effective business storytelling here. ‘What you do’ – A short succinct summary, with products/services offered. What your business does as well as the problems you solve. See suggested P. A. L approach to this below. ‘Contact us’ page. Put in all the details. Have a business-like email address, preferably related to your domain name. Don’t just have contact form, give emails it might be preferable to some enquirers. Have you a landline as well as a mobile? Looks better and a preferred method of contact for some. Have you an office or at least a virtual office address? This is all part of your business branding. Will site be designed with Search Engine Optimisation (i.e. ease of being found on search engines) in mind? See SEO section below. Is there content available to tell the story (photos, videos, text, diagrams, etc.). What content/images/logo/video already exists and what needs to be developed? Read more about how to use tools and techniques to support your online business storytelling here. Scope – will the site be expanding vastly or piecemeal in the future and is there a vision for this yet by the owner? How is content to be maintained after the launch? Will the developer train the business owner how to make changes to text/images/page? Are page layout and changes charged by the hour by the developer? If so, what’s the rate? I am splitting this out from content section as it is so important and often overlooked. What should the site communicate? What are the primary objectives for the site? There will be a lot of things that an owner/manager wants to communicate on a site but what are the key messages or prioritisation of messages? What should visitors of the site come away with? What are your headings? Sections? There are a number of approaches to messaging that I use. The easiest one I use is the P.A.L. approach (Pain, Aspirin, Legacy). Here is a link to a video which explains this here. If you want more information on Business Storytelling online I talk about in more detail here. SEO keyword research is hugely important as it affects what sections, pages and titles/headings you will have on your site. There were a lot of SEO tricks in the past – and still used today – where site content was written purely to be found by search engines like Google. Best not to do this. Write your content for your audience, what problems they have or services they need. Keep SEO strongly in mind, but don’t let SEO drive your content completely as you will lose the interest and attention of your targets. A key metric in tracking your engagement from Google Analytics is how long visitors are spending on your site and of course how many lead to sign ups/enquiries/sales/downloads. Visits are vanity if they don’t lead to sales. You should be able to see what search terms or keywords that your target market is using to look for services in the regions you are checking. Examples of keywords used in Google searches are ”web designer Galway” or ”personalised baby gifts” or “hairdresser in Swords”, or “affordable marketing advice SME” or “emergency plumber Cork”. Downloads – do you want to enable documents or slides to be downloaded when someone enters their email address, for example? Is a ‘Contact us’ form required? Do you want to have a blog that feeds new blog postings onto home page? Do you want to collect email addresses in exchange for a presentation download? Do you require Google Analytics to be set up? Do you require payment online? Eg Paypal, Visa. Have you investigated the various shopping cart options, open cart, zen cart and do you know independently the pros and cons of those you have shortlisted? Do your research at this stage. Losing a customer due to poor shopping cart experience is both common and reckless! It takes so much marketing effort to get them to this point. Other e-commerce capabilities incl. a sub-set of specific features, i.e. having specials, discounts, featured products, customer reviews, etc.). Do you want a blog section? What will you blog about? Again refer to SEO and keyword planning. Do you want advertisers or sponsors? What do you want people to do when they get to the site? Buy from the shop / complete enquiry form /call / read lots of articles / sign-up to the newsletter/ RSS/ Go to Facebook and like page? What are the 2 most important calls to action that will be on the home page? Where do your target audience(s) spend time online? What social networks? What Social Media presence do you have (or need) – and how is that going to be presented on the site (Will you use Social Media Widgets to show Facebook Like box, Follow us on Twitter, or include the latest updates from your social media streams etc.). Is there ‘a look’ or design that the owner is going for? Can other websites be referenced to give the designer an idea? Some of the most unprofessional sites I’ve seen have a mish-mash of font types and colours. With pre-designed templates these days, your website doesn’t need to rely so heavily on the design skills of your designer. Images: Images work so well in breaking up copy and engaging site visitor. Has your developer the know-how on how to get you free (or royalty free) images or will they recommend ‘better images’ where you must pay a small once off charge (eg €25) that suits and brands your business better. Though free, some of the non-descript, forgettable photos you see on sites (and bank posters!) these days do little but turn people off your site. These images may have a small charge attached but can instantly say something about your business. Will your developer give you feedback on images you have sourced, or go the extra to find a better one? Know limits of their spec upfront. What’s your budget? Is it realistic for the features and functions you want?? In my experience you don’t get much for €300-400 and what might seem like a bargain might be pain in the long run when you want after service or extra work. Budget at least €700-1200 for a simple starter site with ecommerce site being at least double depending on features required. They can be cheaper if you upload the products yourself. These are rough benchmark prices, you need to pay more for enhanced design and features. Is there priority issues highlighted by the developer once briefed, and can parts be staged if the budget doesn’t cover the total wish-list? Timeline – how long and what’s the deadline? How will the site be tested and who will do it? Does it need to be? Who will decide the site is ready to go before launch? Domain name account details, hosting, etc. Who does it, how much does it cost and when does it need to be done in order for your web developer to start work on the site. Who registers the domain name address? Who engages with Company’s Registration Office and why would you need to? Here’s a useful link for start-ups. Where will be the site be hosted? Who will host your website? Are you picking this service based purely on price or have you had a recommendation. I’ve seen many SMEs run into trouble having a poor hosting service provider. Marketing used be dominated by traditional, communications whereby large companies broadcasted their messages – one way – to the masses through newspapers, radio and TV and hoped that the messages would strike a note and that X% of the market would buy. This marketing method was expensive and inefficient and, for most small businesses, it was beyond their limited budgets. It favoured companies who had the resources to consistently invest in marketing. SMEs didn’t have the tools to compete or market themselves on a national stage. Nowadays, audiences in Ireland spend more time online than watching TV. The digital revolution is here. It means that audiences neither have the time nor the patience for old-fashioned ‘interruption’ type advertising. It also represents an unprecedented marketing opportunity for SMEs worldwide. For the first time ever, they have a loud-speaker, access to the market that doesn’t cost the earth. The internet and it’s accompanying search capabilities have brought with it inbound or content marketing which has utterly changed how SMEs market themselves. So instead of TV or print advertising ‘interrupting’ potential customers when they are relaxing or not in the market for your product or service, marketing is now about earning the attention of prospects by engaging them through creation of content that specifically speaks to them about the problems they are having etc. Because content is searchable it catches them exactly when are actively seeking solutions for problems or needs, ie when they are typing their need into Google’s or a Social Media search box. What could be more efficient and targeted than that? This new form of marketing is inbound or permission-based and is done mainly by being engaging (talking about what interests your targets) and making yourself easily found by having a strong online presence, engaging content, decent SEO etc. Another example of permission marketing is when you sign up to a newsletter, become fan of a business on Facebook, or subscribe to a blog. Each time you are giving a business or brand permission to communicate with you and establish a relationship with you. As with people, businesses need to nurture this relationship by building trust and engagement over time. The overly selly-selly or purely self-promotion approach doesn’t work well here. Why? Because people generally don’t like being pitched to, sold to … it switches them off. Think of cold callers, door to door sellers, leaflets you dump. These days people have become experts at screening quickly to avoid what doesn’t interest them. Although Social Media appears to be a relevant touchpoint for SMEs, it may not be the ‘silver bullet’ some gurus claim it to be. As a business owner myself I have used Social Media with success to promote my business but I hear far too many business owners flaunt it as the low cost, ‘go to’ communications solution. The value of Social Media is in how it connects a business directly to their current and potential customers. Primarily Social Media is used to generate awareness and buzz about products or services a business offers and it can drive significant traffic to its website. Social media content can be in the form of video, audio, images, links or just plain text that is published and shared in a social or business environment with a view to getting to your customers. 1 in 2 Irish have a Facebook account. I say it’s one of many online marketing tools because a lot of small business owners aren’t aware of the trade-offs or what they could focus on instead. Having a decent website – one that puts across what you do in an engaging way – can get overlooked in favour of Social Media because of cost and effort. I also see SEO & Search – which remains the single best way drive traffic to a website (leading to enquiries/sales etc) getting less focus than Social Media, again because it takes some understanding and patience to master. Same for email marketing whose conversion effectiveness has quadrupled in it’s in recent times. It can take a little planning to do. Don’t get me wrong Social Media Marketing can have a place for your business. But it needs to be part of a bigger plan. It has an edge over other forms of marketing because of this basic premise; people read, share and generally engage with type of content that is surfaced through friends and people they know and trust. However, before you jump into using Social Media to market your SME it is very important to have your thinking straight first. 1) Why are you using Social Media? Be honest. Followers and ‘likes’ sound good but don’t pay the bills, if there’s no strategy around them. Are you doing Social Media because everyone is talking about it and the barriers to entry seem low cost? 2) Sometimes businesses aren’t clear about the basics; who they are primarily selling to and how they are different from their competitors. This thinking is far more important to get right. If you are fuzzy whether you are primarily targeting mums or businesses, or whether you are trying to get more repeat customers or more new customers, yet post X times a day to drive ‘vanity’ likes from people who will never become customers then something is wrong. • Selling on line and getting customer to pay online? • Encouraging off line sales? • Creating sales leads via email/phone? 4) What content do you plan to share? Have you a plan? Do you really know what interests your market? Have you done enough research or ‘listening’ to competitors and trends on the market? The power of Social Media is that it’s personable, 2-way, engaging communication. If done right it can really hook in your prospects. 5) Have you found your Social Media voice? What’s your tone like? Are you doing updates yourself? Use the tone of voice that is appropriate to your brand and your customer. Friendly, relaxed, irreverent, professional. 6) Decide how much time you are going to spend on this activity and stick to it. Decide on frequency of posting. Social Media needs to be responsive and spontaneous but you can alleviate the daily pressure through content planning. Use a content calendar to plan content in advance. 1) The product you are selling. Is it a consumer product or service? Business or technical product? Is it local service? Hubspot Inbound Report 2012 tells us that , in the main, Facebook works better in converts prospects better on business to consumer sales and Linked in business to business. If your product is very visual, Facebook works well in showcasing it in an engaging way. Remember, it’s much easier to advertise a free family day or educational talk on Social Media, or cultural, late night music in a local café to a local crowd than sell an expensive, technical, difficult to understand product that requires a different mode of communication. 2) The market enthusiasm for the subject. Is it a product with an enthused market who seek out updates, who LOVE to share, comment and interact on Social Media? For example certain Mums on certain baby subjects, particular music fans, active locals, digital marketing enthusiasts? Does the market really like (not just kind of like) to keep abreast of the very latest on a subject? 3) The action you expect. Are you looking to generate awareness or sell? Are you expecting people to turn up to a free event or to buy a product? 4) The readiness of the customer to you and your messages. Are they at ‘awareness’ stage or ‘like’ or ‘actively interested’? You need to court them through this trust process. Is Social Media supplementing other marketing you are doing? Have you also a great website? A planned email marketing campaign? Interesting blogs to share? Social Media on its own has a difficult job to do on someone who is completely unaware of your business, product or brand. 5) Special interest sharing? Are you aiming for your content to be shared by someone genuinely interested in it or are you relying on re-tweets from the Twitteratti or serial ‘like and share’ Facebook competition enterers? It’s OK to rely on friends and family at the beginning but this network will soon run dry. Try to find your true fans. To conclude, although low cost on the face of it, Social Media costs time and for small business owners and it can be very expensive in terms of the time you need to allocate to. This time could be used making business leads elsewhere. 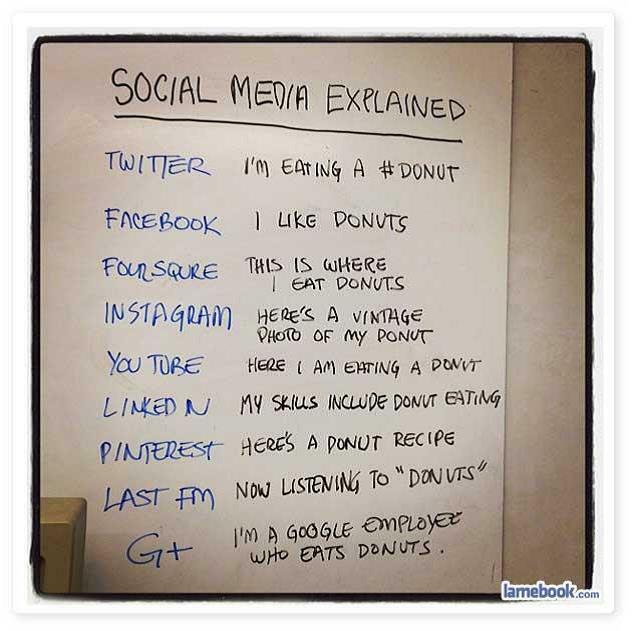 Social Media can be shiny, interesting and distracting and it can lead you down the wrong path. But it also could be the perfect connection you need to make with your market. All I recommend is that you ask yourself some of the questions I’ve highlighted.